During my student years I read the standard scientific method curriculum book, “The Structure of Scientific Revolutions” by Thomas S. Kuhn. In it, Kuhn writes about scientific paradigms and paradigm shifts. Although he was criticized for using the word “paradigm” in a rather inconsistent manner, it was still marvelous reading. What I learned then was that there are rarely major shifts in the way a scientific community views its major hypotheses. Simply put, scientists rarely change their minds about the big important questions. Paradigm shifts are most likely to happen when new hard undeniable data are acquired. The Large Hadron Collider could for example cause a paradigm shift in physics. 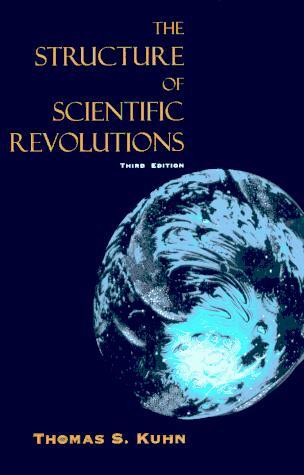 “The Structure of Scientific Revolutions” describes basic scientific principles, how failures of observations to fit with current theories (anomalies) accumulate. How the observations are often dismissed, but sometimes accumulate until old theories are forced to fall and new emerge. Kuhn gives examples in his book illustrating how the purveyors of the scientific consensus, or those upholding the paradigm must leave the scientific community or, to be frank, die out in order to give rise to new hypotheses and major scientific change. Greatly criticized as the book was, it was right in that scientists do not have a history of easily changing their mind. This is in many ways a good thing. Living in a world of constant conflicting results would easily make your head spin if you just tried to go with the flow. But still, scientists often don’t change their mind when in fact they should. This too can make them strange in the head as observed by a widespread cognitive dissonance. The thing is, when I first read Kuhn I though science was as he described it. That, if leading scientists in their field wouldn’t accept new and better theories I would have to wait for them to croak before we would see some change. What I forgot about then was that the book I was reading was written in 1962. They didn’t have the internet. Compared to the present day, 1962 was the stone age of science. Those days you would have to go to libraries to find the odd article or book. It took a lot of time and work to find literature and thus scientist would concentrate their efforts on finding only the most pressing. Articles were published in journals like today, but the journals were mostly read by the people in the specific scientific field the journal covered. There were limits to how many journals you could subscribe to. And so every scientific community sat on their individual hill knowing little about what the other communities were doing or if their research was of any interest to their own community. Those working with overweigh would not necessarily know much of the science being done in relation to underweight or eating disorders, although both communities could learn a lot from each other’s data. But know things have changed. There is still the standard scientific way of doing things. Submitting articles to peer reviewed journals, sometimes waiting up to a couple of years before it is accepted and some more time before it is published. When it’s published other scientist can submit comments or feedback that also has to be subjected to reviewing. It is a slow and tedious process, but it’s the best we’ve got. However, living a life of its own in parallel to the standard scientific way is the internet way. This is where the bloggers reside. 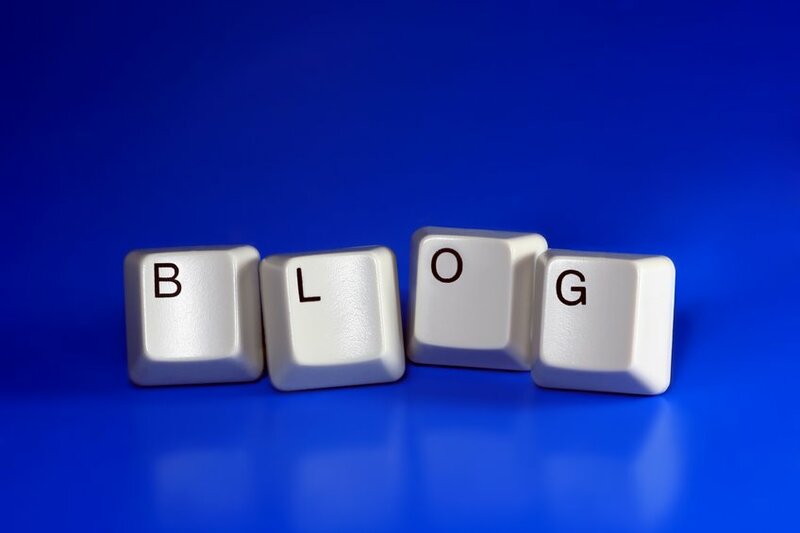 The really interesting thing about blogs is that it has evolved into a natural peer reviewing process. A post is written and in an instant it is subjected to questions, comments, feedback and sometimes thrashed within a few moments by another blog which is also subjected to the same scrutiny. Not only is blogging, twittering and other interactive social media an incredibly effective and fast way of spreading and acquiring knowledge, it is also something that affects the scientists themselves (who are also often a part of the same cyber world). I don’t think we have to wait for people to pass away before we can see major change in health science. I think it is happening right now. I think it is inevitable. And, I think the bloggers are an important part of it. They are constantly exposing the readers to old and new knowledge. A lot of people who have science degrees read blogs, and if they don’t they have friends or family or colleagues who do. Either way, blogging affects people. So this is me saying “thank you” to everybody out there working the blogosphere, and remember, you don’ have to be right and we don’t have to agree about everything, because there is no bigger threat to the expanding human knowledge than consensus. It is thanks to people like you Pal! Your posts on insulin resistance are very hard to beat and I learn a lot from the likes of yourself and others. I still read as many 'scientific' papers as possible, but learning from bloggers is becoming my new 'school'! Right back at ya, Jamie! The internet has certainly changed everything. I can hardly think of area of my life that it hasn't changed in some way. The fact that I'm able to come here and read your writings, even though you're in Norway, it's all amazing. Instant information, instant connection. Blog on. Dette er jo helt sant Pål. Veldig spennende perspektiv på vitenskapsteori. Jeg mistenker at helsevitenskap er et spesielt godt eksempel på hvordan internett og blogger endrer dynamikken i paradigmeskifter, kanskje fordi helse er så erfaringsnært, også for oss som ikke er utdannet i akkurat det faget. Det blir spennende å følge den videre utviklingen. Tusen takk Frida! Du er jo med på å skape utvikling selv også. Jeg tror helsevitenskapen tjener spesiellt mye på internettet siden helse er noe så mange er opptatt av og mener mye om. Indeed, blog posts get instant «peer-review». There is also an incentive for the blogger to write succinctly and avoid errors, because the thing gets published right away for the whole world to see. It can be really embarrassing to write nonsense. Den har jeg ikke fått lest ennå Stefan. Men det er sikkert noen low carb/paleo bloggere som har skrevet om den.